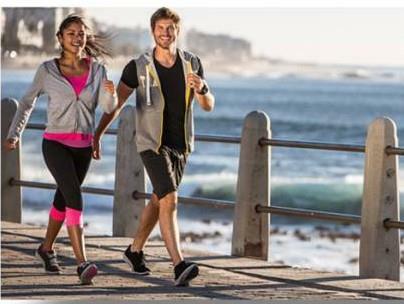 Experts agree that walking is one of the best ways to get fit, manage stress, stay trim and get healthy. Benefiting from walking takes just a gentle stroll each day. Research has showed that aerobic fitness can be improved by regularly raising your heart rate to a good working level for a period between 15 and 60 minutes per day. Regardless of how fit you are it is suggested that you start gradually and build up over many weeks. Seeing your Doctor or Physio before you start any exercise program is always advisable to get a baseline of your cardio-vascular health and also give you some input on how quickly to progress. Use the conversation test while you are walking. If you cant have a conversation without gasping for air you should slow down.